After beta testing technology that provides remote assistant services for the blind, San Diego-based Aira has raised $12 million in a Series B round that it says will enable the company to expand its service to thousands of visually impaired users this year. 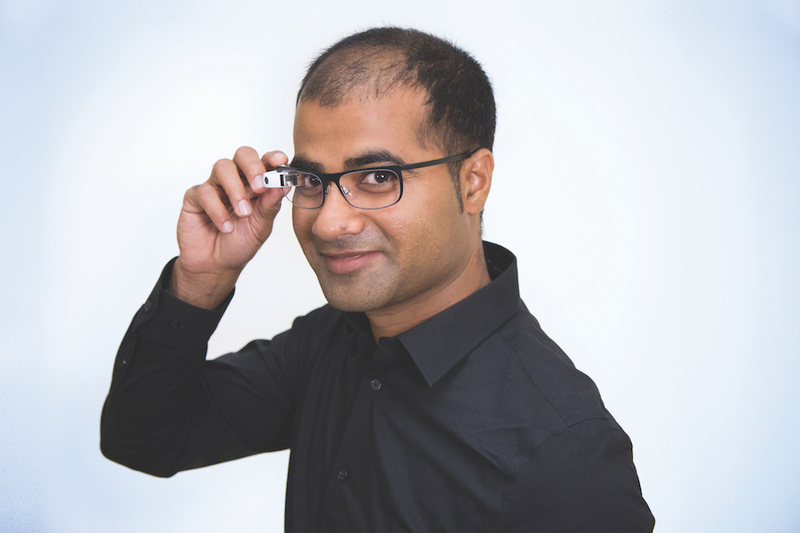 Aira takes advantage of the gig economy by connecting online independent contractors (via dedicated wireless bandwidth provided by AT&T) to guide low-vision users equipped with a modified version of Google Glass, the Internet-connected eyewear. Like an air traffic controller, Aira agents talk to users through a speaker in the eyewear to guide them through their surroundings, read menus, shop, and provide other real-time assistance. The company developed the service with the help of the AT&T Foundry for Connected Health in Houston. After raising $3.3 million early last year, Aira tested its technology with about 300 users, founding CEO Suman Kanuganti said Thursday afternoon. They include Erich Manser, who used Aira’s technology to help run the Boston Marathon in April. The next step is to extend Aira’s services to thousands of people, and to add more features and technologies, such as “autonomous mode”—artificial intelligence technology that would enable users to get around without help from a remote agent, Kanuganti said. Aira technology is now available to users throughout the United States, and about 100 beta testers continue to actively use the service, Kanuganti said. The company, which has 22 employees, connects its low-vision users with more than 30 agents trained to provide assistance. There are an estimated 20 million blind and low-vision people in the United States, according to the American Foundation for the Blind—and that market could grow. In a blog post Wednesday, Kanuganti noted that there are nearly 300 million blind and visually impaired people around the world. “An aging population only adds to this ever-expanding market that is challenged by a lack of immediate access to key information that often comes visually,” he wrote. San Francisco-based Jazz Venture Partners and Ann Arbor, MI-based Arboretum Ventures led Aira’s Series B round. They were joined by Lux Capital, Arch Venture Partners, and Felicis Ventures. The National Federation of the Blind (NFB) was a strategic investor in the round, and NFB president Mark Riccobono joined Aira’s advisory board over a year ago. This entry was posted in Advocacy, Assistive Technology, News and Current Events by Mike Hingson. Bookmark the permalink.